(a) Automatic Stay. 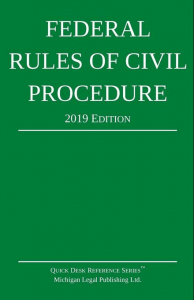 Except as provided in Rule 62(c) and (d), execution on a judgment and proceedings to enforce it are stayed for 30 days after its entry, unless the court orders otherwise. (e) Stay Without Bond on an Appeal by the United States, Its Officers, or Its Agencies. The court must not require a bond, obligation, or other security from the appellant when granting a stay on an appeal by the United States, its officers, or its agencies or on an appeal directed by a department of the federal government. (f) Stay in Favor of a Judgment Debtor Under State Law. If a judgment is a lien on the judgment debtor’s property under the law of the state where the court is located, the judgment debtor is entitled to the same stay of execution the state court would give.